Viking has made quit a name for itself on Amazon and for good cause. Not totally sure where their razors are made but the company is from Australia. The razor is ultra beautiful and shaves just as good. Easily get BBS using a good quality blade. I say that because the blades that are enclosed when purchased are extremely mild. The TTO works great and the razor must be in an upright position to close the doors (safety). Weighs in at about 2.5 oz and 3.75" long. Great grip. Made from brass and inners stainless steel. Comes in original leatherette case and box. note: Viking razors are not made by a third party. At one point several years ago Bali made their molds but Viking has there own factory and produce there own razors. Their razors are made in China by Baili. so if you see a Vikings blade razor that you like, I suggest you find the Baili version on AliExpress or Amazon and get that for about a quarter of the price. 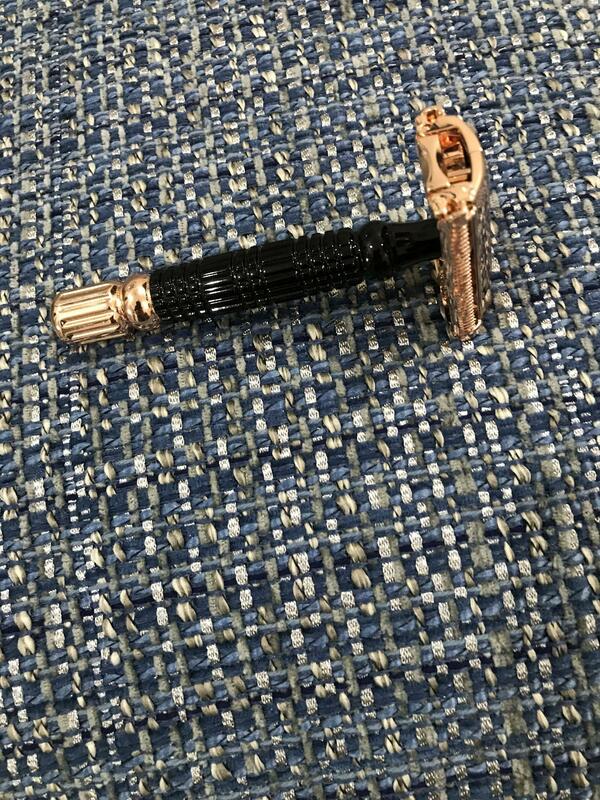 Same exact razor, it just doesn't have all the hype.